In episode 7, ChE is joined by activist India Harville to discuss finding freedom through disability justice. 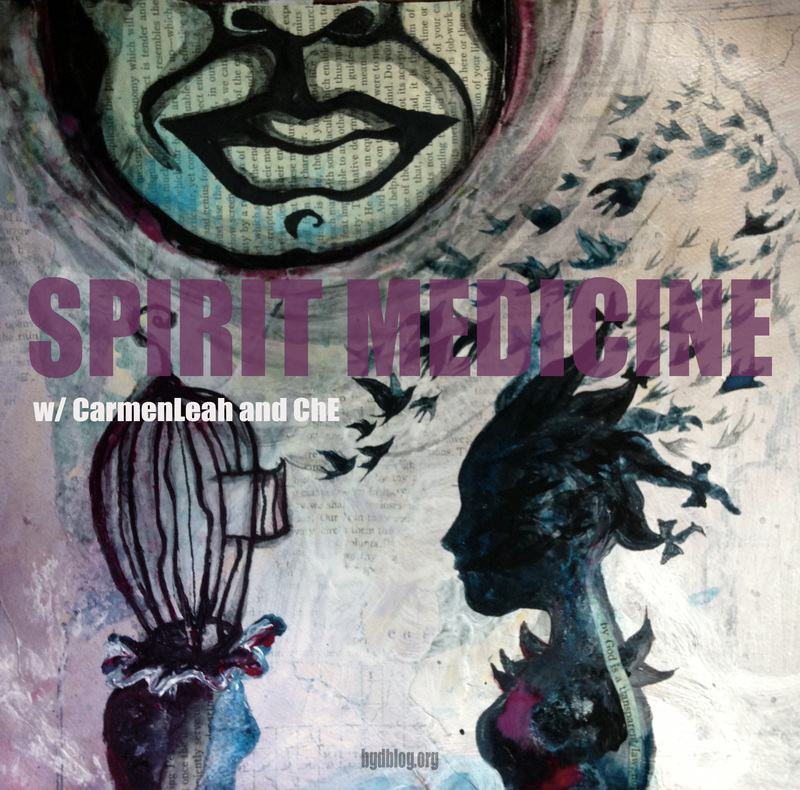 ChE: Welcome to Spirit Medicine, a BGD podcast about healing, wellness, and liberation. I’m ChE and this is a podcast about providing accessible conversations, tools, and rituals that support the liberation and wellness of people of color,with a focus on queer and trans people of color. CarmenLeah is out because she and partner Mia have had their baby! Very exciting! She will be back soon and today’s topic is finding freedom in disability justice. So we have a special guest with us. One of my favorite people, India Harvell. I’m going to share a little bit about who India is. So India Harville is an African American femme, queer, disabled, chronically ill social justice organizer, community educator, public speaker, bodyworker, mixed ability dancer, dance instructor, and performance artist. The unifying thread in India’s work is facilitating people working with their bodies as a vehicle for personal and collective growth and transformation. India has had the pleasure of traveling internationally teaching inclusive dance and disability justice principles in a wide variety of settings, including college campuses, social justice organizations, and with the general public. So welcome India! It’s so great to have you. India: Thank you so much I’m so excited to be here! ChE: So India, as I said earlier, is one of my favorite people. One of the closest folks in my life, I’m so happy to have India on the show today because she’s really one of the spiritual anchors in my life and one of the people I have the honor and privilege of collaborating with creatively in this lifetime and one of the projects that I’m really excited about sharing with all of you today is called “The Movements” that India and I have dreamed up together. Can you maybe share a little bit about how we know each other, India, and our work in the movement? India: Sure! Actually, our relationship started because when I got really ill, you were one of the people who really helped me out a lot and provided a lot of support and through that process, we quickly became friends and realized that, yes, we were spiritual anchors for each other and that we shared some similar visions and we spent a lot of time dreaming up something we call “The Movement”, which is an incubator for queer and trans people of color, with a focus on artists, healers, activists and the entire QPOC community and we’re really interested in ways of sustaining our work through experimenting, growing with each other, learning, sharing, and just having a container to focus on the work that we need to move towards liberation. ChE: Yes! Yes! And inside of developing “The Movement” together, one of the things that I’ve really benefited from in our friendship and just collaborating with you in general, is your journey with finding the disability justice framework. Yeah, so maybe you could share a little bit about how you found the disability justice framework and what that is for you. India: Yeah, I’ve always been chronically ill and pretty disabled from a young age but I didn’t identify that way as a young person, and in fact I was kind of encouraged to underplay that in my life as a survival tactic, really. I think coming from African-American parents who wanted me to excel and thought that you know I should lead with my best foot forward all the time but then in 2011, I got super sick and I was really laid out. I had some serious neurological health challenges. I was frequently paralyzed on my right side, I was in a lot of pain. I was having seizures and other bizarre neurological symptoms and I had to stop working. My community was amazing and rallied around me and really took care of me and I’m super grateful for that and you were part of that, so thank you. ChE: Yeah, of course! It was really an honor and I learned so much in that time too. That hopefully maybe we’ll get to share a little bit about later today. India: Yeah and through that process I realized that I had to learn a totally new way to accept what was going on in my body, to value myself without thinking about what I was producing, because I was unable to produce anything and I had to dig really deep in that time and then I went to the Femmes of Color Symposium in 2011 and I’ll never forget it. Mia Mingus was the keynote speaker and as she described the disability justice framework and what that meant to her, I was like oh, you’re strumming my pain with your fingers. Like, she was describing my life, my shame around disability, all the things I’ve been trained to hide and really challenged everyone in the room to reconsider if that was serving us or not and how we could better be a community to each other if we came forward a little bit more with our bodies and what we needed and that’s the point in my life where I first adopted disability as a political identity and started studying disability justice. ChE: Mmm, that’s beautiful. Yeah, I I love that you found this framework in such a personal way and I think particularly, like, being a friend in your life during that time when my own health stuff with with migraines and not really understanding what was happening with my own body and then witnessing you on that journey of, like, really just being in a process of learning and acceptance and, like, reevaluating and then making changes and you were just you were doing so much work to create structures in your life to support your body and your well-being I was I was just really inspired and I’m still really inspired but I think particularly it was just moving to me to be in that journey with you as a queer person of color, as two queer black people and to see you really embrace disability justice as a liberatory framework that just- that was huge to me, because so much of, you know, my socialization, understanding, that framework was really through a white lens and so maybe you can share a little bit with the listeners about what disability justice means to you, particularly as it relates to your queer and POC identity, which is shared with our listeners as well. India: Yeah, I’m really glad that you brought that up because a lot of people use the term “disability justice” and they don’t mean what I mean by it. It’s become a bit of a buzzword and when I’m talking about disability justice, I’m meaning it in a very particular way. I’m talking about the work of people like Stacey Milbern and Patty Berne and Leroy Moore and Mia Mingus and these folks are queer and disabled people of color and people of color and they really created this framework and it’s a different framework than disability rights and sometimes people think of them as the same but, in reality, for me, disability justice is about having people who are most impacted by oppression be in leadership. Honoring indigenous folks, immigrants, people who live inside of different intersecting oppression and for me it always- I will frequently think about dance, because I’m a dancer. So the other way disability justice really shows up for me is in my dance community. So I danced with a lot of dancers who are either disabled themselves or are committed to learning how to work with people with disabilities in an appropriate fashion and when I have moments in my class where people recognize that I’m a human being – which sounds silly – but when people recognize I’m a human being and I have needs and they have needs and our journey together as dancers is about how we co-create something beautiful while we honor both of our needs, that my needs aren’t really that different than theirs. That’s when I live disability justice and that’s really my favorite time. ChE: Yes, exactly! I mean that’s- that’s so much of what drew me in to the framework. As something that centers bodies of color and, like, had it all make sense to me was, I think really actually when you and I started, inside the movement, when we started designing the- Oh gosh, what was the name of that class, India? the dance class that you did, “All Bodies Are Free” or “If You Can Breathe, You Can Dance. ChE: Yeah and I just remember, like, I just had so much curiosity about that, of like, where you were pulling from for that framework because it really related to me like the core values I have inside of an ancestral lens of how to view the body. That, like, actually a lens that is from the African Diaspora, that is from my indigenous background. Actually there are room- there is room for all kinds of bodies to take up space and to move and express in a way that feels good to us individually and that’s not- that’s not a white thing. That is very much rooted in how my people have done ritual and how my people have found liberation. How our people have found liberation and so yeah, that- I definitely connected with that in working with you. Maybe this is a time that we can share a little bit about the three lessons that the two of us have learned in working inside of the disability justice. So what are, like, three of our favorite things that we’ve learned from disability justice, especially as it relates to our QTPOC identities? You want to start, India? India: Sure there are so many things I love about disability justice but I’m going to come back to talking about leadership by those most impacted by oppression and, you know, people who really understand this framework will always come back to saying it must be led by QTPOC folks with disabilities and there’s so much genius inside of those of us who are navigating health challenges or disability and we often bring things to movements or just spaces, wherever you are, that people don’t always think of and I think that that’s- there’s so much value in that. My life is so enriched when I let people come forward who don’t usually get to be in center stage and I’m like, “wow their leadership is amazing”. When that happens, accessibility or seeing- feeling comfortable for everyone’s body and everyone’s need doesn’t just serve disabled folks. It also serves kids and parents and elders and able-bodied folks. It serves everybody. ChE: Yes! Yes! I love it! It’s a framework that serves all bodies, this is like totally what Spirit Medicine is always excited about figuring out, like what is- what can we all use. I think for me, the- one of my favorite lessons with disability justice has been that it’s a liberatory framework that can support people of color-led movements and I’m particularly thinking about Black Lives Matter that- which you know, I’ve shared a little bit on this podcast is a part of the work that I do inside of #DignityinProcess, the multidisciplinary platform, the space, and performance are at ancestral healing and building multi-generational wisdom councils in relationships of the Black Lives Matter movement so I think that- I started to share a little bit about this a second ago but I think that in working with you and really understanding some of the core values of disability justice, it really helped me see how the work I was doing in #DignityinProcess and developing Afro-Indigenous liberatory practices as a cultural equity framework, that actually those are shared in overlapping core values inside of disability justice which, I’m- I know you’re going to share a little bit more about but that this idea of embracing our whole bodies and all of their diversity and shifting expansion, that that is actually something that comes from the wisdom of our ancestors and when we’re doing organizing work as a collective, as a collective of people of color, it’s actually liberatory to embrace the different ways, the different needs that our bodies have and maybe you can share a little bit more about that in the lens of disability justice. India: I think disability justice is very simple in some ways. It’s kind of a framework of saying, “Hey, let’s get back to being human beings” and as human beings we have needs and I think capitalism and white supremacy try to deny us that basic right and so to me the practices of disability justice are incredibly liberatory because they’re saying it’s subversive for you to claim that you have a body and that you have needs and that you can meet them and our ancestors, as you mentioned, have been doing this for a long time and it’s been a method of survival and it’s been a method of building community and holding everyone together and so I think it’s important for us to remember that this isn’t a framework that we’re learning academically. We are already living this and this framework is just our way of expressing this more fully. ChE: Yes, exactly! Can you share a little bit more about- I know that we’ve talked a little bit about how this is kind of an anti-capitalist framework. What- can you share a little bit more about that for folks that, yeah, are activists and are trying to understand how this relationship to the body is also a political act and can be part of our activism? India: Sure. I think a lot of people stumble when we come to this idea that disability justice is an anti-capitalist framework because we live inside of a capitalist system and we feel the constraints of capitalism. So I just want to name that part first but what I really think disability justice is inviting us to embrace is the idea that we have value, no matter what we produce. No matter what work you’re creating in the world, like, your intrinsic value as a human being exists before and outside of that and then when you recognize that you own yourself, what choices you want to make when capitalism no longer owns you, right, and then you are free to start navigating the world from more of a place of choice and that doesn’t mean that you don’t still have to figure out how to pay your rent, right, [laughs] like we’re still living under those constraints but the more you can be couple your sense of worth from what capitalism says makes you worthy, I think the more freedom you can experience. ChE: But so what does that like- what does that actually look like? Like, how have you- do you have like a story or an example you could give of how that’s shown up for you? 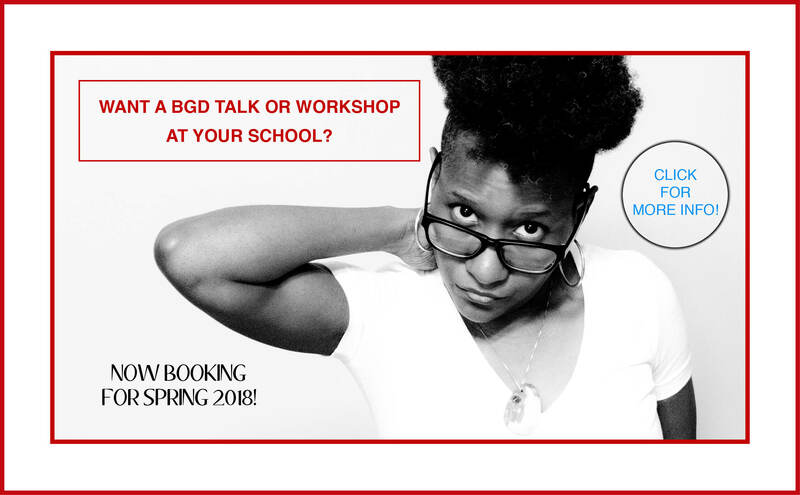 How you started to disentangle your own sense of self-worth from the system of capitalism and how that relates to this, you know this body-based framework? India: Sure. There’s so many examples of that. One thing I’d say is that I build work schedules for myself that support my body and my needs and I’m really careful to make sure that I’m not working 40 hours, like capitalism tells me that I have to be because that’s not sustainable for my particular body and I’m finding ways to supplement my income or to work at a slightly higher wage in order to make that sustainable but I continue to decouple the idea that the only way to succeed is to do this 40-hour workweek grind. ChE: I’m just sitting here listening to you and I’m like wow you know I think sort of the overarching take away that I’ve had in doing this work with you is that I function inside of a community and so I think, really embodying interdependence is, for me, one of the big ways that this framework has helped me to challenge systems of capitalism and my sense of value related to that. That like actually, no, I am interdependent with a whole community of folks, that like I need them and they need me and there’s freedom in that and I think that one way that I see that showing up in our connection is- I’m just thinking about, like, the letter that you sent out via email to folks who are in your life that was color-coded and really letting folks know like, “Hey when I’m in a season of migraines like these are the things that I need and this is how I will let you know that I need them and these are the ways that I can show up and I can’t show up” and- and this is what it looks like what I just don’t know and I can’t get back to you because I’m taking care of myself. I think the system that you used to really like break that down and share that with us, it was interesting because one it reminded me of like the color coding that we use in sight of direct action organizing in Black Lives Matter and I was like, “Oh wow this system is like very much aligning with like the access organizing that I do” but it but it was a system that you were applying to your body and like your wellness and -and then inviting your community into that into that vulnerability because the body- it’s vulnerable to talk about our bodies with each other especially when we’re talking about needs and ways that we can’t show up or that we might be disappointing each other but it just felt so humanizing and I felt closer to you reading that and then it was an invitation for me, like, it really made me reflect on the ways that i silenced my own needs around physical stuff that might be happening for me or emotional stuff might be happening for me but it’s just I guess the best way to describe it was like it was an embodied experience of feeling my interdependence with you that you were letting me know that, like, you that there were these need you had, in our connection, and there are these ways that you couldn’t meet certain things but in you naming that, you know, that was part of you showing up for me that I just really respected and I wanted to reciprocate that and think about how I could practice that in my own life, which to me, that’s freedom. You know, it’s like that honesty is freedom. India; Yeah, yeah that’s totally what I was talking about earlier when I said disabled people will come through and show you things that you may not think of before and then it’s like wow I can apply this to me too okay India sent out this letter and talked about what she needed and talked about how she can be accountable and when she’s available and all of these things and just gives everybody more options and they think that that’s an incredible part of the framework. ChE: Yes, yes! So maybe you can share, before we say goodbye to our listeners, can you share just a few practical ways that people can start to embody disability justice, QPOC fullness, like starting right now, what can we do? India: Sure! I’ll share four things. The first one is, just start recognizing, acknowledging, and tending to the needs of your body and as I mentioned before, self-care is a subversive act. Just making sure that you are tuning in and even if you can’t immediately tend to a need, just being like “Oh, I’m tired right now! I have to work and I notice that my body is tired” and that is an amazing first step that everyone can start taking now and the next step inside of that is to say, “I’m tired. How can I make some space to rest?”, right and then the second one is to start practicing, what we call in the disability justice frame, access check-ins. And that simply means whenever you’re gathered with a group of folks, actually you and I do this when we have meetings, or if you’re having a larger meeting with a group of people, everyone gets to say what they might need for that day, for that meeting to be more present and I’ll give you a couple of examples. So sometimes when I go to meetings, I’ll say hey there’s windows in here would everyone be okay if we cut off the fluorescent lights, that would give me a migraine and just open the blinds and have some natural light and then if people feel good about that we all do that. So that’s one way that you can definitely start practicing another form of disability justice. The third one I’ll say is to, and this one’s hard folks, is this to do some work around your capacity for facing illness and disability and connected to that, spend a little time thinking about your own mortality because most of the time I find that when people are frightened of me because I’m in a wheelchair or people don’t know what to do around disabled people, it’s because they’re afraid that that could happen to them and disability visits a lot of people in our lifetime and we all die and that’s just something we have to face and you can do that work and not have it be scary. Just take a little bit at a time and start thinking about those things for yourself. And then the last thing I’ll say is build relationships with disabled folks. Invite us out to things. Start learning and finding out what makes things accessible for us. Remember not to ask us to educate you but- and don’t make assumptions as you are educating yourself but often times depending on the disabled person – I don’t speak for every person in the community – we don’t mind being like, “hey you know what would help right now is this” and then you start learning the kinds of things to be thinking about. Those are four things. ChE: Thank you so much! I want to go through those really quickly because that- you just shared so many gems. When you more sharing the first one I was like, wait slow down! That’s actually really hard! [laughs] We could spend like a whole podcast talking about, you know, how to check in with yourself and practice self-care and I loved how you- what you said about recognizing, acknowledging, and tending to your needs. So again listeners, that was number one is checking in with yourself. What do you need? Already- If- I think if we all just over this next month together, just practice that. Just practice mindfully reflecting upon taking moments throughout our day when we wouldn’t normally check in with ourselves. You know, “What do I need?” Even if it’s as simple as like I’m thirsty or I haven’t gotten up and gotten water in the last couple hours while I’ve been working, but that is actually huge and is a liberatory practice. Two, checking in with others, is how I interpreted what you were sharing. So practicing access check-ins, so starting to pull that personal practice into a collective practice. Three working around your own capacity, so really facing and doing some reflective practices with mortality and, feel free to go back through the previous podcast listeners, and maybe applying some of the meditation practices we’ve offered on using death and maybe some ancestral work with your topic for those reflections and then finally, I love that you brought it all home with talking about relationships and how we can build more relationships with each other across abilities. Yeah! Beautiful! Thank you so much, India for chatting with us and sharing your personal stories about your own body and experience with disability justice and, as a friend, just thank you for everything that you’ve taught me in this work and the ways you’ve helped me get more free in my body and in my acceptance of self. So thanks for being on Spirit Medicine! India: Yes thanks so much for having me and thanks for all the ways that you enriched my life. ChE: Yay! I love my friends! I’m very lucky! [laughs] So thank you listeners for being here and sharing this time with us again today! Again this was Spirit Medicine and we look forward to tuning in with you next time! Take care!